Our football program runs from September 1 to late November. All games are played at Bay Eighth Street field 1 and 1A. The fee is $ 285.00 and that includes NFL jersey, pants, belts, medical insurance, trophy and shared expenses for referees, field maintenance, equipment, football field supplies, jackets for winning teams. We also run an NFL-sponsored flag football in-house league for boys and girls ages 5 and up to sophomore year in high school. 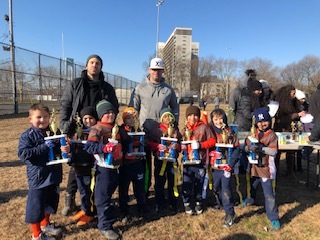 The Dyker Heights Athletic Association’s football program began over a decade ago with two teams coming down to 17th Avenue Park once a week to play a game or two. Today, over 22 teams, in four different divisions flood into the park. What sets our league aside from others is not only our attention to the whole player, but also our association with the NFL. Our association with the NFL not only allows us to use their jerseys and equipment, but it also serves as a foundation for our rules and regulations. Since the inception of the program, parents have rightfully asked how safe it is. 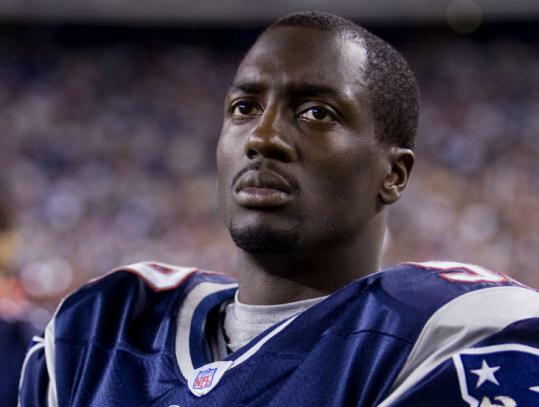 The NFL Flag Football program is not about blocking or tackling, and its rules specifically forbid such action. Its rules are designed to promote the fundamentals of the game. Those looking to make high school teams learn the fundamentals at our program, and many coaches remark on how well prepared DHAA players are for high school football. Each division in our program is unique. The clinic is the foundation of our program. It is in this division that players, from ages five to six, learn the fundamentals of the game. Every Sunday morning dedicated coaches run drills that focus on, among other things, throwing, catching, and flag-pulling. Towards the end of the season, the clinic progresses into games in preparation for the rookie division. The rookie division, for seven and eight year-olds, is where players begin learning how to adapt to the fast-paced game of flag football. In the rookie division, the children play games, but the rules allow for the games to be stopped so the coaches can instruct players. The rookie division schedule is also devised so that there are division-wide practices three times during the season, where coaches can collaborate and devise drills based on how the season is progressing. The Junior Varsity division, comprised of children ages nine through eleven, and the Varsity division, which runs from ages 12-15, are where the hard work of the clinic and rookie divisions finally pays off. During the 16-18 game season, both divisions include action-packed games where a two-point conversion or fourth-down attempt may decide a game. Our football program runs from September 1 to late November. All games are played at Bay Eighth Street field 1 and 1A. The fee is $ 285.00 and that includes NFL jersey, pants, belts, medical insurance, trophy and shared expenses for referees, field maintenance, equipment, football field supplies, jackets for winning teams. 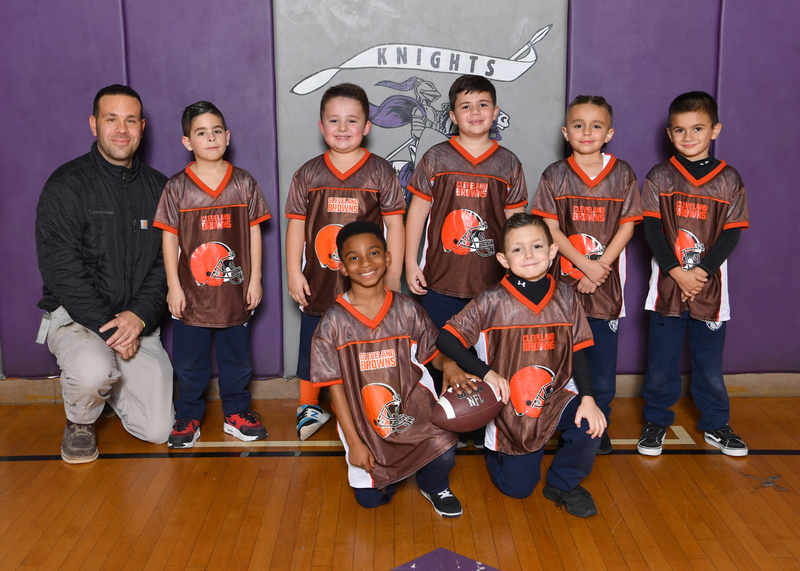 Our league-wide practices begin this Saturday August 17th, so if you want your child to participate in a program that focuses on the fundamentals of the game in a fun-filled and safe environment, go to www.knightsaa.org, and signup today! Why Flag Football – Increase Agility – helps in every sport Flag and tag football are similar to tackle football, but instead of tackling, players on defense must touch or remove a flag from the person carrying the ball. Flag and tag football are great ways to get exercise, helping athletes stay in shape through running and performing other maneuvers that improve agility. Strengthens Cardiovascular System Flag and tag football require players to run. Aerobic exercise, such as running, increases the body’s demand for oxygen and adds to the workload of the heart and lungs. This strengthens your cardiovascular system and builds your endurance. Aerobic training increases your oxygen transport to your working muscles, giving your body more energy. As your endurance increases, your body does not fatigue as fast. Builds Speed and Muscle Short bursts of fast-paced running are involved when playing flag or tag football. When sprinting, you get the best of both worlds: a cardio workout and a resistance workout. For example, you burn calories, increase your metabolic rate and build muscle, sculpting your legs and abdominals. The sudden bursts of energy required from your body relieve stress as well. Become More Agile Flag and tag football require players to be still at one moment, then suddenly move into action. When plays are run, players run one way, then might go the opposite direction within a split second. Playing flag football makes an athlete more agile. By practicing accelerating and decelerating, quick stops and reaction times to game situations, players become quicker and increase their coordination, balance and footwork. This will help you perform better in all sports that you are involved in.